Edenz Promise VCR (Eden C x Broken Promises PGA) wins the Jr. 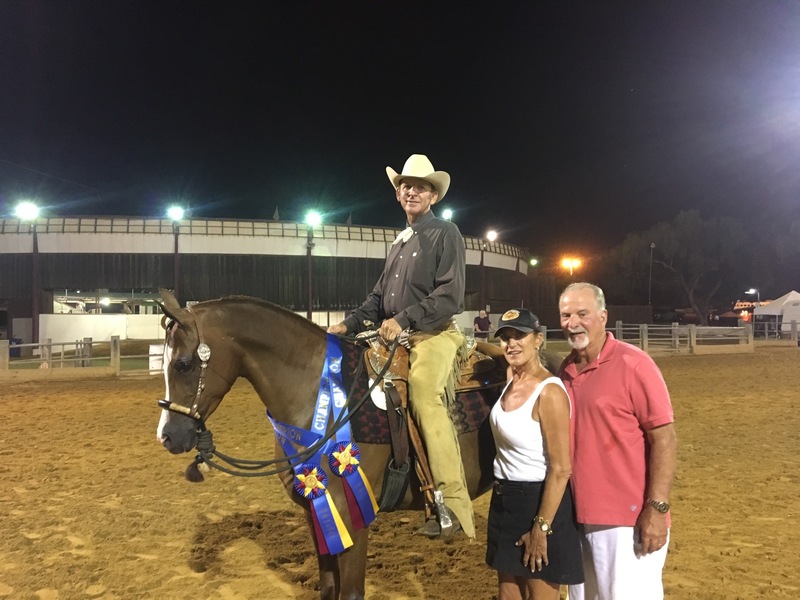 Horse and Maturity Western Pleasure Championships at Santa Barbara 2017! A big thanks to Michelle and Chris Culbreth. We are so blessed to have Wendy and John Bleacher join the Volney Creek Ranch family as our ranch management team in beautiful Red Lodge, Montana. Wendy brings a lot of great horse experience to the ranch while John keeps things in tip-top shape. Welcome Wendy and John. A stunning colt by Ensync FMA (x Eden C) out of our lead mare Edenz Promise VCR (Eden C x Broken Promises PGA) and a beautiful filly by Trussardi also out of Edenz Promise VCR as well. Both foals are very typey and full of themselves as they play in the pasture. 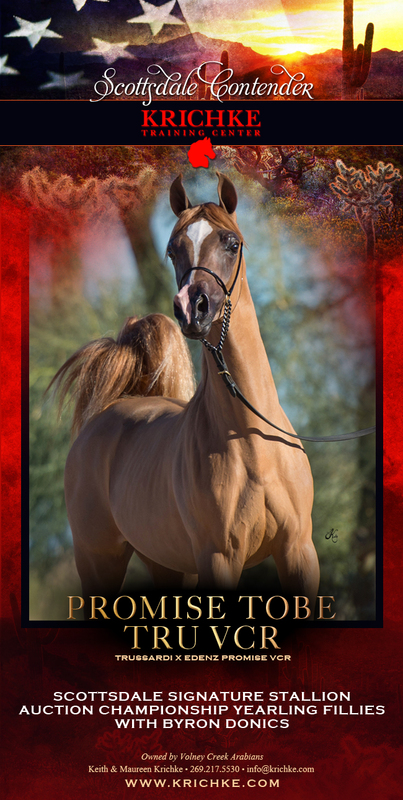 Look for both of them in the 2018 Scottsdale Signature Stallion Auction Class as they are Scottsdale Auction babies! We have also added a stunning young filly yearling to our herd with the purchase of Beijing Love FH (Beijing BHF x In Love) from Maureen and Keith Krichke. Thanks to the Krichke Training Center team. She is a stunning grey (soon to be white) young filly with plenty of substance and presence. Look for her as well at the 2018 Scottsdale show. Our Straight Egyptian yearling filly Mystiques Sequel VCR (The Sequel x Mystique LL) is growing up in Texas with Arabians Ltd. and will soon be joining us at the ranch in Montana. She is showing all the best of her mother and the Mishaal HP bloodlines with the stature and presence of The Sequel. A stunning young filly with great movement and attitude! Last, but certainly not least, Andromeda VCR (Nutcracker’s Nirvana x Noble Ballet) is growing up to be a most impressive young H/A filly. She is already demonstrating the high step and presence of her world champion sire as well as the intelligence and heart of her mother, a Barbary offspring. Just going under saddle with Jessica Schafler, we are aiming for her show debut in Spring 2018. Check her video and pictures out on the website. 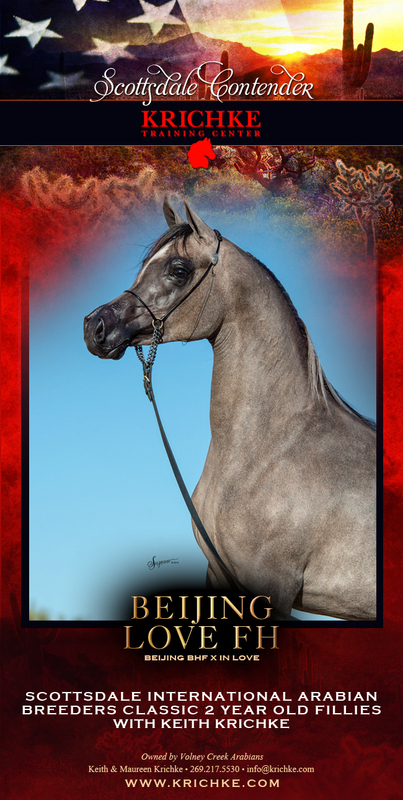 On the performance side of things, Debi has been active in the show ring with wins at the Spring Del Mar show and is now aiming for the upcoming Futurity/Maturity show in Santa Barabara. Look for us there! Please stop by and visit us if you want to see some of our beautiful Arabians or just want to hang out in beautiful Big Sky country in Montana. 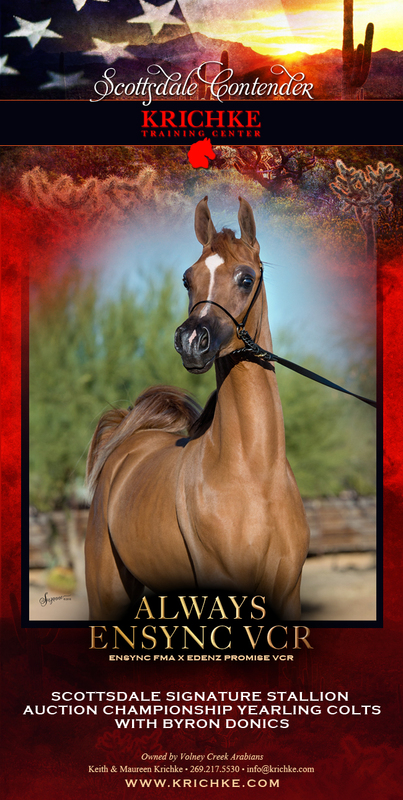 As the Winter show season gets into swing, you will find us down in Scottsdale working with our trainers in the heart of Arabian horse country.